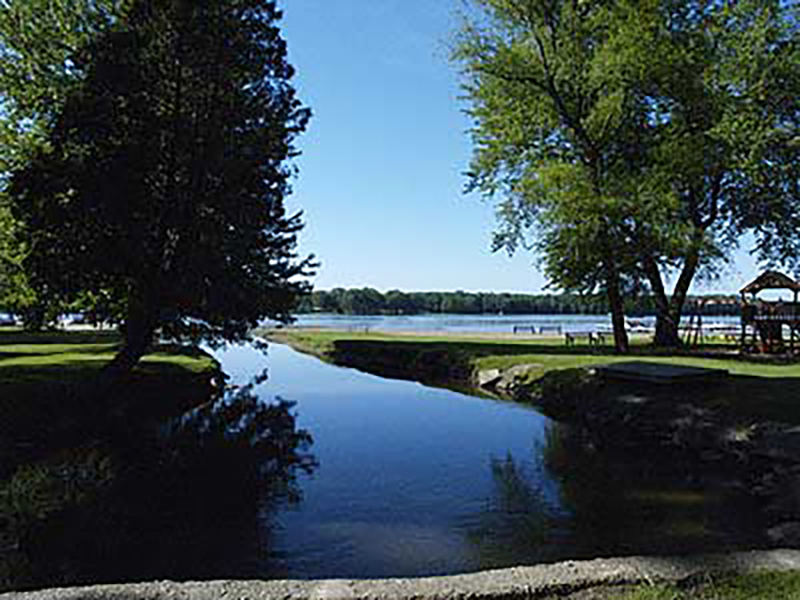 Camp Thornapple Campground – Camp Thornapple, Inc. is located on beautiful Thornapple Lake in Barry County between Nashville and Hastings, Michigan. We are located between Nashville and Hastings, Michigan on beautiful Thornapple Lake. We are 32 wooded acres with 136 full hookup sites (electric, water and sewer), 4 water and electric sites, and 3 primitive sites on High Bank Creek that runs through the park. Camp Thornapple offers full hookup sites, electric and water sites, and primitive sites. Our full hookup sites have cement patios and all our sites have picnic tables and fire rings. We have a full facility bath house with hot showers for you to use. And of course, we have our own private swimming area. Thornapple Lake is a 409 acre lake that supports leisure boating, water skiing, tubing and fishing. Camp Thornapple, Inc. has assigned dock, shoreline and pontoon spaces upon availability at a small cost and for weekend campers available dock spots – check with office. There is also a private boat launch for our guests. Thornapple Lake is well known for its Muskie and also has Walleye, Pike, Bass, and Pan-fish. There is also a newly refinished fish cleaning house with water and electric to clean your catch.